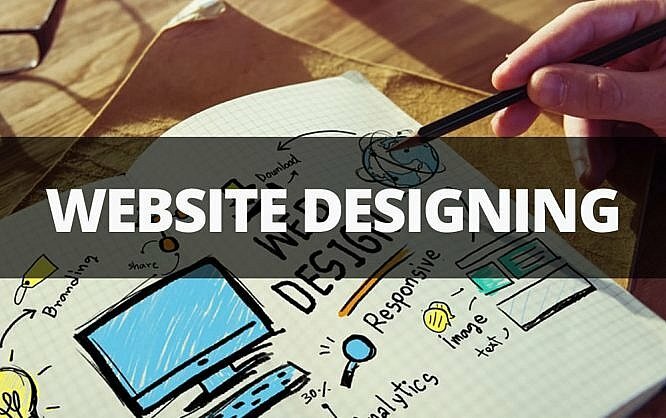 As you all know that website designing is not an easy job to do as it encompasses different skills and disciplines in the production and maintenance of websites. While different areas of web design include webpage layout, content production, and graphic design. Basically, websites are created using a markup language like HTML and web designers build web pages using HTML tags that define the content and metadata of each page. While the layout and appearance of the elements within a webpage are typically defined using CSS. Today, every website includes a combination of HTML and CSS that defines how each page will appear in a browser like Couponobox. Couponobox is basically a site which offers coupons and voucher codes for all sorts of online stores. However, HTML and CSS are used to design the look and feel of a website but you still need to add images to your website separately. Therefore, graphic design may overlap with web design as graphic designers often create images that can be used on the website. However, adding images will surely add a look and feel to the website but it might take time and can even go outside the budget. Have a look at these few steps will not only save your time but will save your money as well. Content is the main aspect for any website and If you are looking for ways to save time and money on your website designing then make an outline of the content and write it down for each page. While having your content and outline ready will save you a generous amount of time. Also, if you have a very limited budget for your website then try to write your web content all by yourself. Firstly, you need to make lists of things that you want to include on your website. Some of these features may include a contact page, information about your service, and a good clean structure. While some other things that you need to note down in your list might include a slider image on the homepage, mobile responsive design and a content management system to update your content. These things are great to have on your website but can only be added when you have a bigger budget for it. Researching and purchasing your own image is another way to save some bucks and will surely save some of your time. Looking for images that compliment your content is of those of things that most web design company will take time to research about it. If you are writing your own contents then there are many online sites where you can get images from sites like Istockphoto.com related to your content. Here research means look for websites that function in the way you want or is visually presented in a way that you like. Moreover, this will inspire your web designer and will give them a brief idea to define the scope of your project. It will also help to educate you on what breaks a budget. If you are tight on budget then you could opt for WordPress websites with a customized theme. After that, you might think that your website looks similar to other websites that have limited functions but most WordPress themes are made to be customized. So, you just need to fill in the details and pictures to make it work. Although, if you could spend some money and get premium access to the WordPress then your web designers will have full freedom to customize the website as per your requirements. In order to customize your website and make it stand out then, you can add some upgrades and add-ons to your project. These are the things that will enhance the visitor experience and will truly add to the production quality of each project. You can also save some cash by choosing worthwhile upgrades. Moreover, some web designs use custom photography and video wallpapers to entice your visitors. Although, finding a photographer and videographer isn’t really an upgrade but it is necessary. However, your relationship with a photographer is also valuable for effective social media and online advertising. You can’t redo your web design without redoing other things. For instance, replacing all the appliances in your kitchen will won’t work if you leave it next to faded, crusty, counter tops and cabinet made for a different set. So, it is always recommended to all at once for the best results. you might have read that time is money means extra meetings and phone calls will take time. So it is best to avoid disrupting other marketing and business activities. As you already know brand new web designs often require troubleshooting after the website launch. You and your staff will need to learn new processes to manage the new website. Today’s new web designs include components that work on software licenses and subscriptions that you need to pay on a monthly or yearly basis to keep your website running. Auditing your website will not only help you to select the right approach for your web design project but will also identify the urgent issues that you need to spend on before anything else can move forward. While there will be chances then you will need to prioritize your website security and stability. This is done because your website is also susceptible to malware and hacking just like your computer and mobile devices. However, the best way to harden your website security is to keep your website’s operating system up to date. Also, keep the themes and plugins up to date as well. So, if everything fails or your site gets hacked, you still got backup of your data to restore it. So, these are some of the points with which you can not only save time and money but can also attract huge number of visitors to your site. What a wonderful post you have written!, Great article..Every one looks for a new strategy because which gives new results…It was amazing and worth reading, it was simple and clear to understand your techniques Thanks for sharing this amazing information. Thanks a lot for this super awesome article.